The WordPress Publicize feature has stopped posting to Facebook Profile Feeds and will only post to Facebook Pages. This has caused a drastic reduction in facebook reach from thousands to almost nothing. Other Facebook Second Life Residents do not want to follow pages unless you are a big fashion designer or a rock star big blogger. This leaves the rest of us artists and bloggers in the dust with almost none of our friends list on facebook wanting to like our pages we make. All page invites I have sent out in the past, well most of them… remain unchecked and ignored while since they have been sent out already, FB will not allow further invites sent out. This leaves only being able to invite new friends or making a status update invite hoping friends will click it and like it. Here is my FB Page that I have had for years and slowly grown one by one to have a small number of likes. But these likers are the real deal and I appreciate and love you guys for it! Here is a link to my FB Page if you want to like it. Since I am playing with this new WP editor I am finding bugs. Adding a FB Block does not work and will only make the link you see above. grrrrrrr. Alright lets test this new thing out. OK back to what I was talking about. Another thing I am noticing within FB is that the new friend requests I get are mostly for them to invite me to their new Page they made. I totally get that and don’t mind them inviting me right away. What is bothering me however is that most of my friends on SL FB are irrate about the page following requests and yelling about not inviting them and then unfriending or blocking the people who are just trying to grow their page reach. Bitchy much? Can’t be bothered much? People don’t want anything to do with anything unless it’s their own Page or their own idea. This is why I am so grateful for the followers I do have. I know they all care. 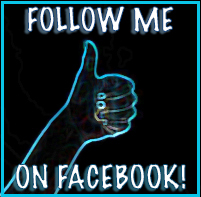 So please if you want to follow my FB Page please click the link above. I made it into a reusable block. Everyday is a school day in this new editor. I made a picture recently when I won a giveaway on FB. The PROMAGIC Crazy Boots. You can get these at this round of Cosmopolitan. PROMAGIC Crazy Boots at Cosmopolitan right now. You can also shop in real life for Paris METRO Couture. Paris METRO Couture website Treat Yourself! Facebook? Really? Who cares about that antisocial, antihumane shitshow? The Zuck’s Network of spying. I automaticaly get angry whenever I see the name Facebook anywhere.